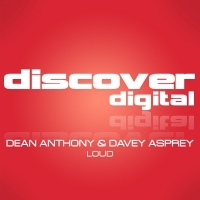 For their debut on Discover, Dean Anthony and Davey Asprey have delivered an epic track that pulls no punches when it comes to full on big riff action. It's dirty, it's hypnotic and it's very infectious!! Paul Denton continues to build on his growing reputation as a producer with a great remix that adds a second layer of quality to the package! 'Loud' is available now from Beatport and iTunes.